The Martian is full of wit, humor, survival, and verve. When Mark Watney is left for dead on Mars he must figure out how to survive while cut off from all communication with Earth. 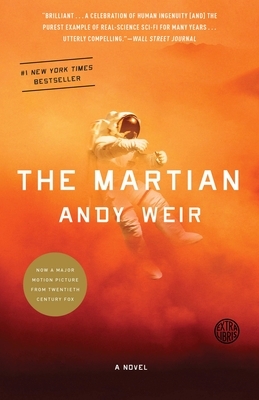 Split between Watney’s point of view and the rescue mission back home, Andy Weir uses just the right amount of science to make you feel like you’re there and understand without ever overwhelming you. A classic survival story meets classic sci-fi, both updated for today’s world. Easily the most fresh and enjoyable sci-fi I’ve read in a long, long time.